Nashville, Tennessee. Music City, USA. And as of 8 months ago, my new home. 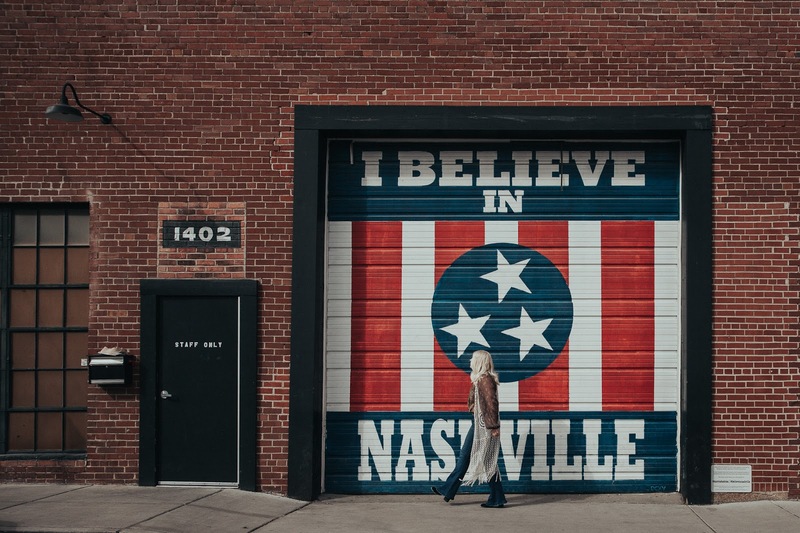 In the past couple years Nashville has become one of the new "it" cities in the U.S. and that is not without reason! 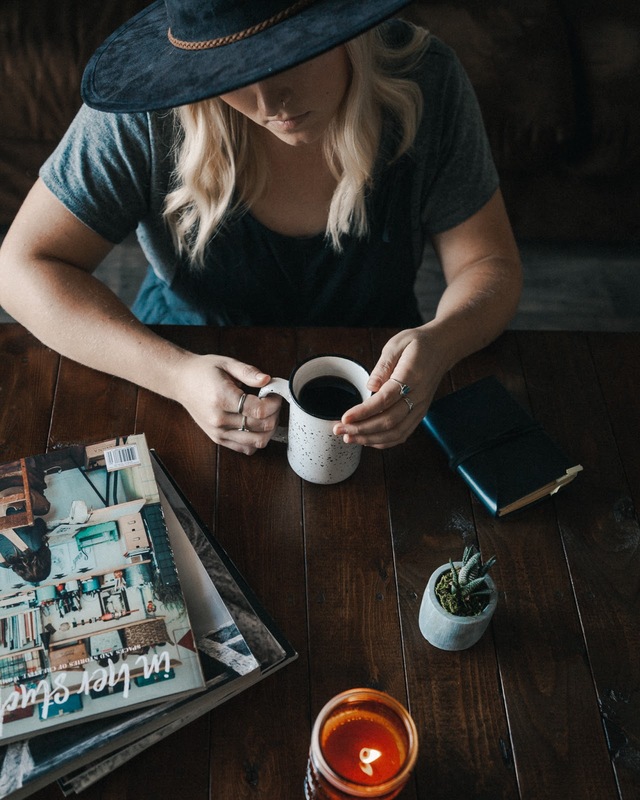 Nashville is a city that's constantly overflowing with activity and bursting with creative minds. There is something to do in this city literally every single night of the week. One of the great things about that, is that a lot of it is completely free or fairly cheap. While there are the many tourist traps, like any other big city, there are a lot of ways to experience Nashville on a budget. 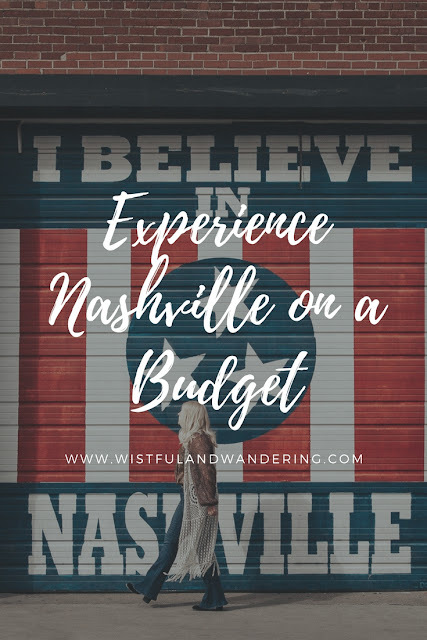 Many people visit Nashville and spend their whole time in and around downtown, but what they don't realize is that there is so much to do outside of the city. There are quite a few really cute towns surrounding Nashville. Franklin, TN is just 30 minutes south and it has a super cute historic downtown with shopping. There's a lot of cute boutiques and if you're hungry grab dinner at 55 South which has been featured on Diners, Dives, and Drive-ins. Leiper's Fork is another really cute town, it seriously looks like something out of a movie, especially at night. 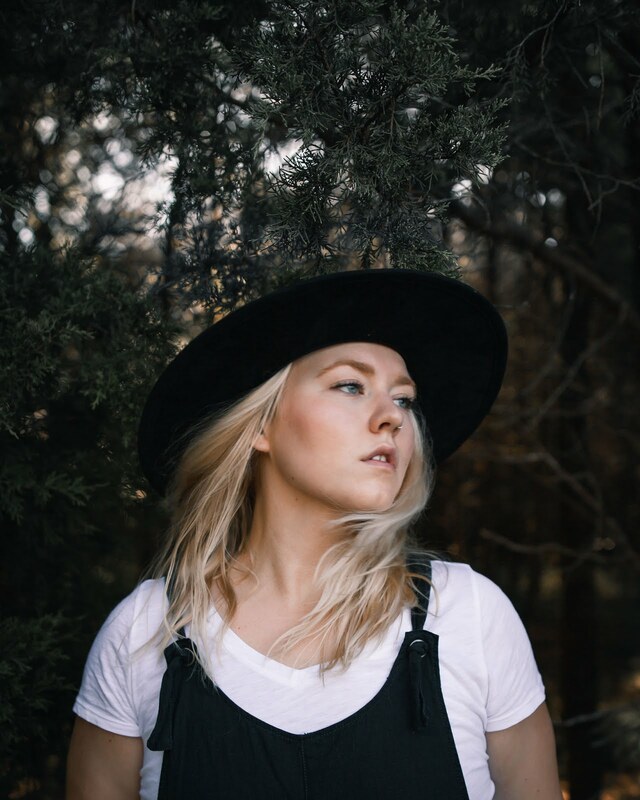 Grab dinner at Puckett's and listen to some great live music while you're there! Percy Warner/ Edwin Warner Parks : There are both paved and unpaved hiking trails at the parks and it's an absolutely gorgeous hike just about 20 minutes outside of downtown. 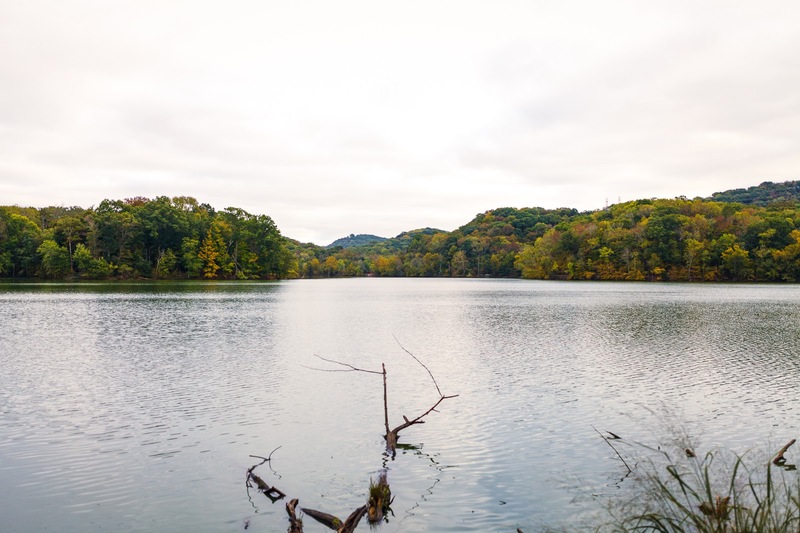 Radnor Lake: Another great place to hike, Radnor Lake is a nature preserve about 20 minutes outside of downtown as well. Since it is a nature preserve you have to stay on the trails at all times, but the view of the lake is incredible! Shelby Bottom Park: A great walking trail in East Nashville. There's a pedestrian bridge that crosses over the Cumberland River that gives you a nice view of the city. You can also rent bikes there! There are actually places to rent bikes all over the city which is extremely convenient and most of them have connections to the Music City bike path. 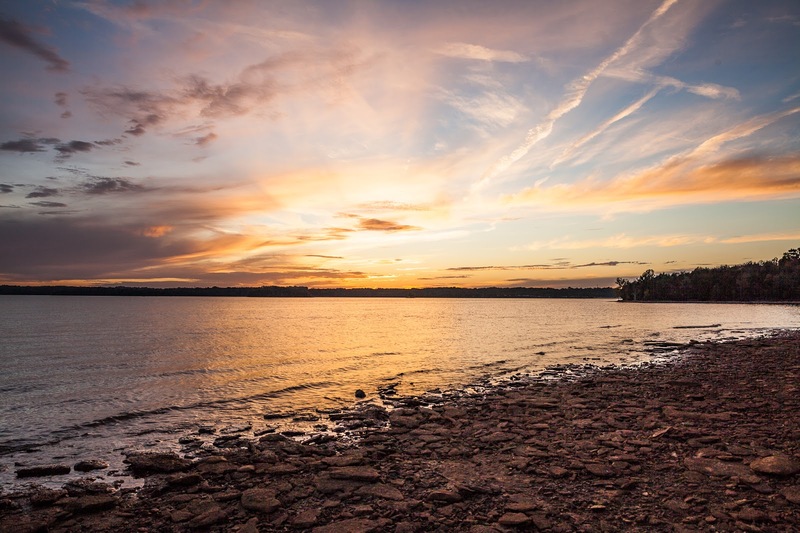 Music City Bikeway: the bike trail runs 26 miles from the Percy Priest Dam all the way to Percy Warner park. 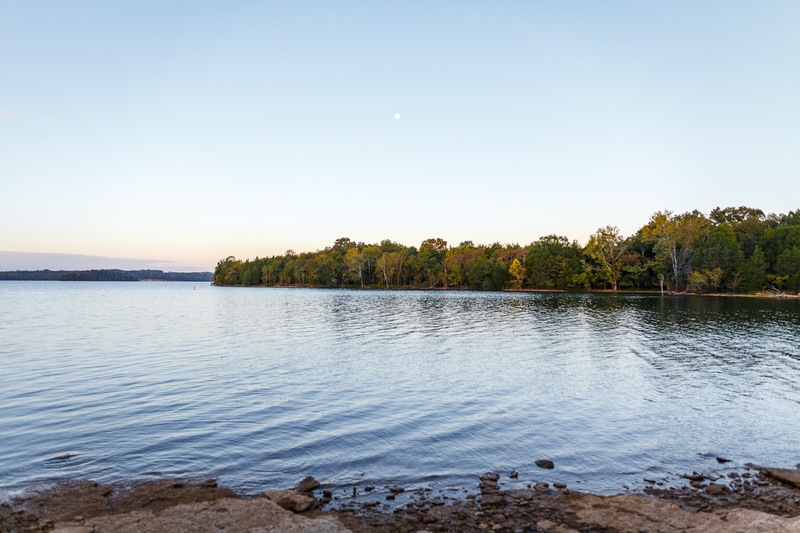 Percy Priest Lake: A beautiful lake just 15 minutes outside of downtown. There are quite a few beaches that are either free or just $5 per car. If you have a bit more room in your budget there is Nashville Shore waterpark and there's also marinas where you can rent boats! There's a lot of free stuff that goes on in this town. So maybe try and plan your trip around one of those events! All you have to do is look at one of the many event calendars that are online to see what events are going on. One of my favorites though is Live on the Green. Live on the green is a free music festival that happens over multiple weekends in August and September. There are some really amazing acts that have played in the past. This year I got to hear Portugal the Man, Michael Franti and Spearhead, and St. Paul and the Broken Bones. Nashville isn't called Music City for nothing, there's music that goes on everyday and at all hours of the day here and a lot of it is completely free! Take a drive down music row, completely free. Check out the Parthenon, completely free to look at if you don't want to go inside. 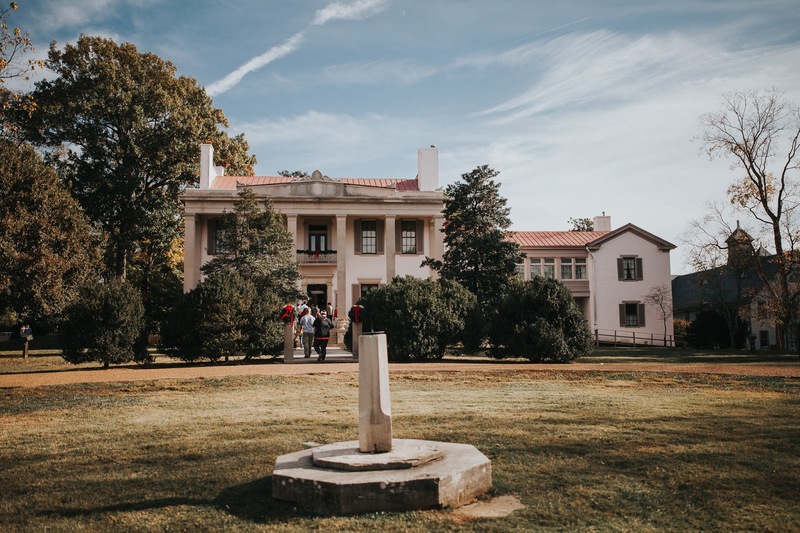 Belle Meade mansion has a tour, which is really awesome, but you can also check out all the rest of their grounds outside of the mansion for free. All you have to do is look and you will find an abundance of free things to do! If you're going to spend the money to stay right downtown, bring some walking shoes and walk everywhere to save some money. Things really aren't that far from each other. For example, Mid Town, where music row is, is just a mile walk from Broadway. Take advantage of your hotels shuttle, parking downtown can get extremely expensive! I would suggest renting an Air Bnb instead of a hotel. In the long run it's going to be a lot cheaper than the hotels downtown and there are a ton of really cute houses you can stay in! Music City Circuit: Completely free bus transportation to key destinations around town. Trolly: The starting price of the trolly is $35, but you're going to check a lot of things off your site seeing list. You can get on and off the trolly whoever you want and it is fully narrated as well. Broadway is the tourist trap. I repeat, it is a tourist trap! I'm pretty sure everyone knows this, but I thought it would reiterate it for you one more time. Drinks are crazy expensive on Broadway so if you're wanting to go out to the Honky Tonks I would highly recommend doing a bit of pregaming. If you don't want to hit up one of the local liquor stores, try hanging out in midtown before you go to Broadway. The bars there have weekly drink specials that are going to save you some pretty pennies! Hopefully some of these tips were helpful for you in planning a trip to Music City. If you have any other questions about Nashville please let me know!